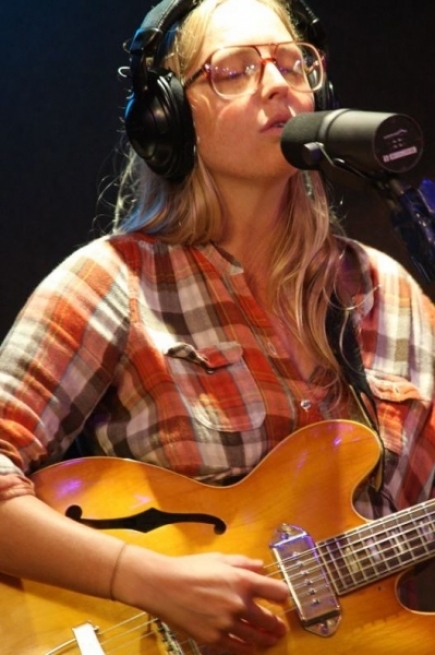 Midwestern newcomer Lissie Maurus is often compared to Stevie Nicks and Chrissie Hynde. The country-folk songwriter proves this to be true with the single 'When I'm alone' from her debut album ''Catching A Tiger'. Lissie allows her folk/Americana side to prevail in 'When I'm alone', with a bit of rust and regret in her voice. 'When I'm alone' follows in the footsteps of her acclaimed EP 'In Sleep' which was released in May, and from last year's US-released 'Why You Runnin' EP, which has already sold over 10,000 copies since it appeared stateside last Autumn. "I'm really proud of it, I love it. It's been getting a good response so far," the singer said. "....I'm out now with an album in hand, promoting it, touring, playing lots of festivals this summer. And I'll be spending a good part of the next six months in the UK and Europe. Just playing shows, getting my hustle on." The young singer from Illinois has the kind of rich, lazy - occasionally pained - vocals that bring to mind so many great country and folk singers of the past; and her waif like appearance - all blonde hair and freckles - certainly helps in the promotion. Having now decamped to the UK from her home base in Ojai, California for the foreseeable future, Lissie continues to play across the nation's live venues. Having recently played at Glastonbury, she has already confirmed festival appearances at Bestival, Latitude, Dot To Dot, Evolution, Summer Sundae, Cambridge Folk Festival, Secret Garden Party with more dates and festivals to be announced over the coming weeks. In a year dominated thus far by stylistic female artists - Lissie stands out notably from the crowd; there is nothing whipped or spun, styled or shaped about her, her performances are both refreshing and honest and individually unique. 'Catching A Tiger' & 'When I'm Alone' were both released on June 21st on Columbia Records. ※ The original article was taken from Reuters Website.